Spartan is a privacy conscious South African organisation. The following privacy statement explains how we protect visitors’ information gathered via this website. If you as a visitor choose to register or submit information to this website, you agree to the use of such data in accordance with this privacy statement and legal disclaimer. Please note that this site contains links to other sites, including sites maintained by affiliates and alliance partners of Spartan, which may not be governed by this privacy statement.If you have any further queries, please don’t hesitate to contact us. As a visitor, you do not have to submit any personal information in order to use the website. The site collects only personally identifiable information that is specifically and voluntarily provided by visitors. Such information may consist of, but is not limited to, your name, current job title, company address, email address and telephone and fax numbers. We do not usually seek sensitive information (e.g., data relating to race or ethnic origin, religious beliefs, criminal record, physical or mental health, or sexual orientation) from visitors. We will, where necessary, obtain visitors’ explicit consent to collect and use such information. Spartan does not collect or compile personal data or information obtained by this site for dissemination or sale to outside parties for consumer marketing purposes or host mailings on behalf of third parties. Information collected from visitors to the site will only be kept in order to provide the required service. Once the service has been completed all information will be destroyed in accordance with Spartan’s data retention policies. Should you require your information to be updated, amended or deleted from our records please contact us outlining your requirements. Cookies (i.e. small text files placed on your computer when you first visit the site) are used on some of our websites. Most browsers now recognize when a cookie is offered and permit you to refuse or accept it. If you are not sure whether your browser has this capability, you should check with the software manufacturer, your company’s technology help desk or your Internet service provider. Spartan may change this policy statement as needed. If changes to the statement are made, please note that it may take up to 30 business days before new privacy practices are implemented. Check this page periodically if you would like to monitor changes. The information contained and accessed on this site (the “Site”) is provided by Spartan as owner of the Site (“Spartan”) for general guidance and is intended to offer the user general information of interest. The information provided is not intended to replace or serve as substitute for any services provided to you. The application of laws and regulations may vary depending on specific facts or circumstances. Due to the nature of electronic communication processes, Spartan does not guarantee or warrant the Site will be uninterrupted, without delay, error-free, omission-free, or free of viruses. Therefore, the information is provided ‘as is’ without warranties of any kind, express or implied, including accuracy, timeliness and completeness. In no event shall Spartan, its related entities, principals, agents or employees be liable for any direct, indirect, incidental, special, exemplary, punitive, consequential or other damages whatsoever (including but not limited to, liability for loss of use, data or profits), without regard to the form of any action, including but not limited to, contract, negligence or other tortious actions, arising out of or in connection with the Site, any content on or accessed by use of the Site, or any copying, display or other use hereof. As content on the Site is copyrighted and proprietary, any unauthorised use of any materials on the Site may violate copyright, trademark and other laws. Should a user download the materials on the Site for personal or non-commercial use, the user must retain all copyright, trademark or other similar notices contained in the original materials or on any copies of the material. Materials on the Site may not be modified, reproduced, publicly displayed, performed, distributed or used for any public or commercial purposes without explicit written permission from the appropriate content or material provider (including third-party links). Spartan bears no risk, responsibility or liability in the event that a user does not obtain such explicit written permission as advised by Spartan. 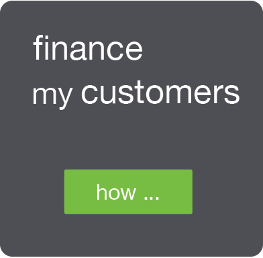 Third-party links are provided as a convenience to our users. Spartan does not control and is not responsible for any of these sites or their content. 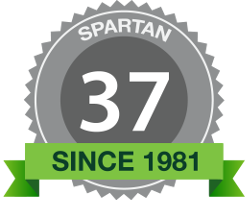 Spartan is obligated to protect its reputation and trademarks and Spartan reserves the right to request removal of any link to our Web site. Links that involve unauthorised use of our logo a form of link that disguises the URL and/or bypasses the homepage.